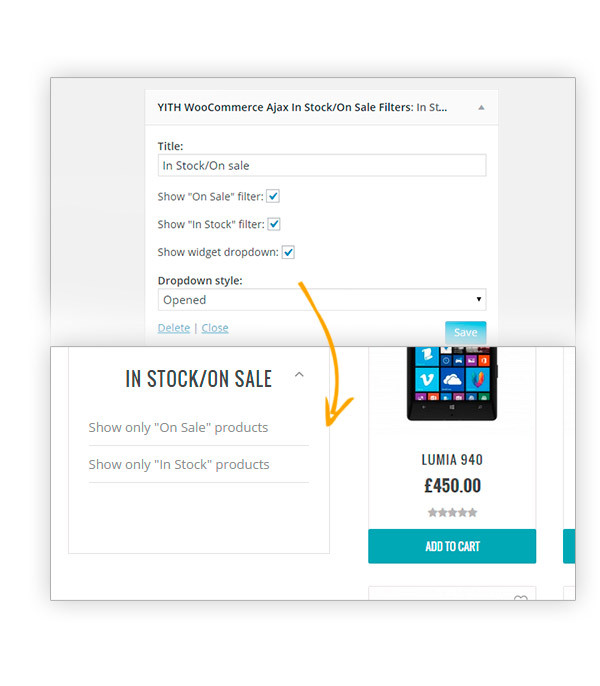 Thanks to YITH WooCommerce Ajax Product Filter you can avoid this risk and increase the conversion rate in your store. 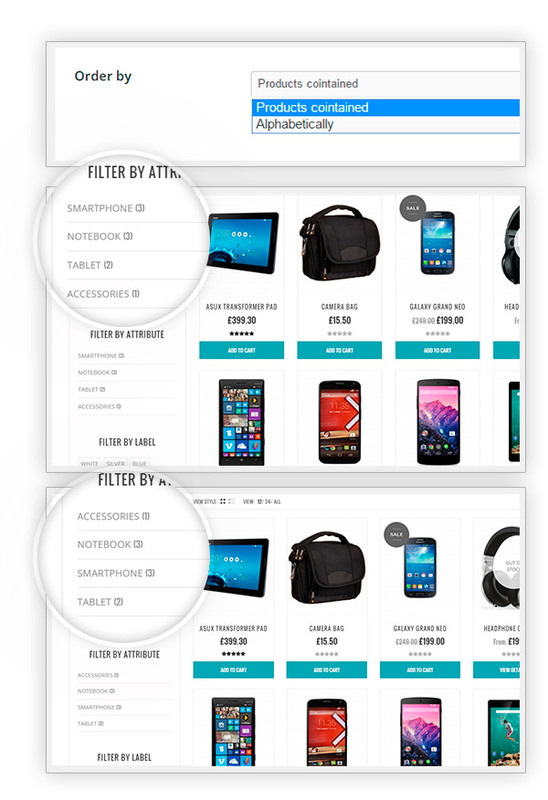 YITH WooCommerce Ajax Product Filter lets your customers find the products they need in a glimpse of an eye: a powerful and vital tool, especially if your e-commerce offers a huge product catalogue. Research shows that the 75% of the users leaves a site if they cannot find what they are looking for within 15 seconds. Make the product search and selection processes easier and rapider becomes essential to loyalize the customers and support sales. 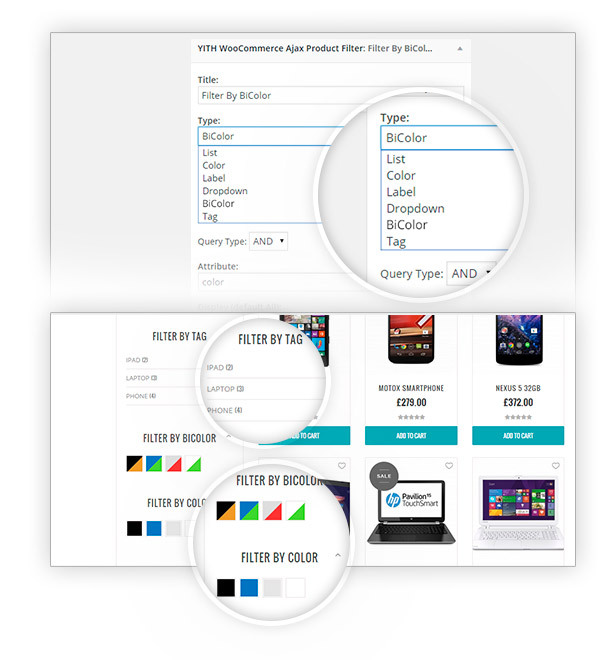 Thanks to our plugin, your customers will be able to filter products — instantly, thanks to the Ajax technology — choosing among any existing option for every single product: size, color, category, price and so on. 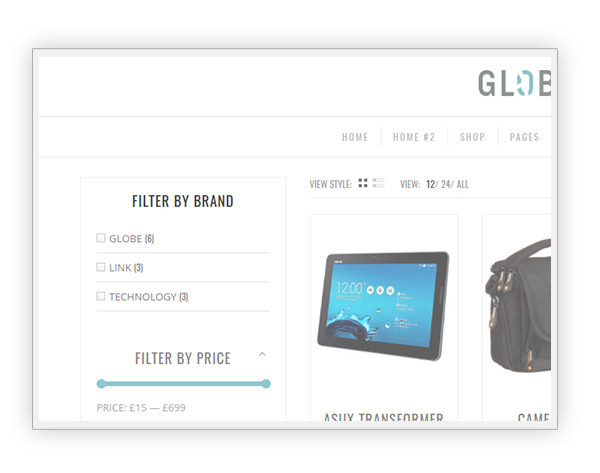 But there is more: it is also possible to select different filters together (for example, showing all the products with the same color, size and price) and to filter products by publication date, rating, sales number… actually there is no limit to the filter options you can offer! 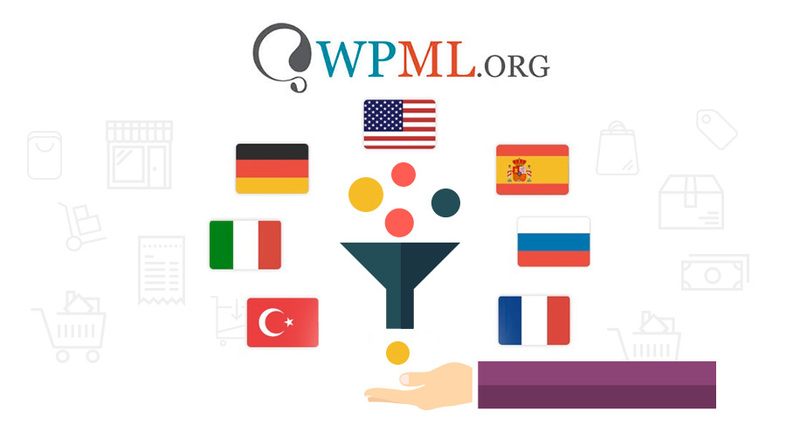 The effectiveness of this plugin is due to its continued improvement: we have recently introduced the chance to filter products by alphabetic order and two new layouts to display the used filter. 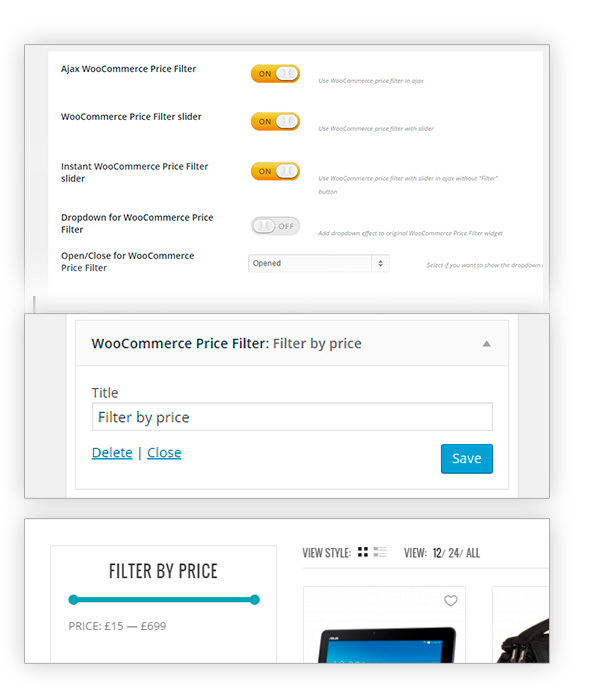 YITH WooCommerce Ajax Product Filter is the ideal product for all kind of stores, especially those who offer a big amount of items and that risk to confuse customers and lose several important sales. Lead your potential customers effectively towards your products and remember: you only have 15 seconds to do so! 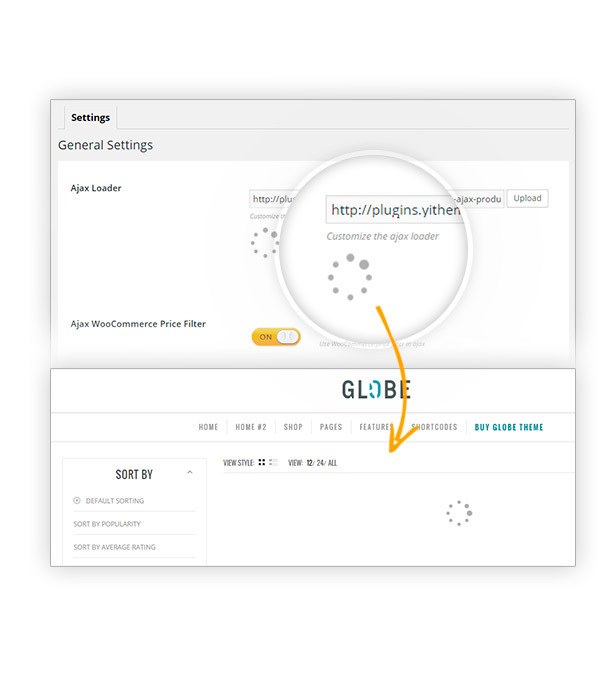 The plugin works only in WooCommerce pages. We recommend you don’t use it in different pages. 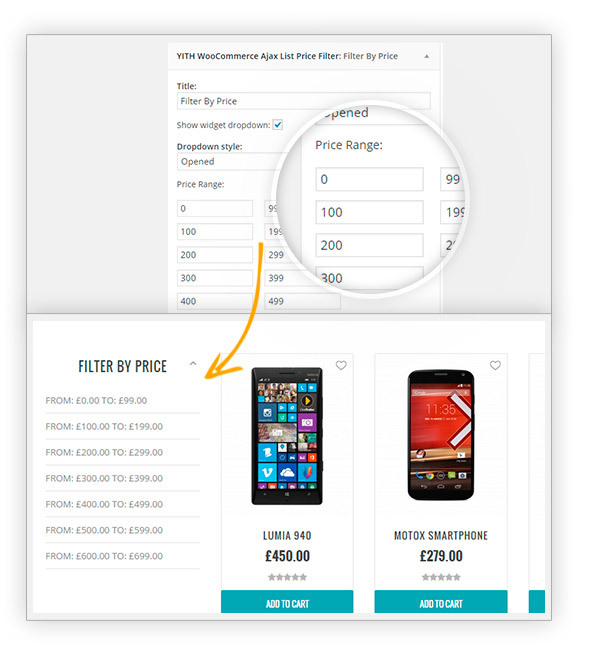 Fix: Filter by price disappears if product query return "no products found"
Fixed: Error on activation "the plugin required WooCommerce in order to works"
According to your needs, YITH WooCommerce Ajax product Filter offers different layouts perfectly suitable for every solution. 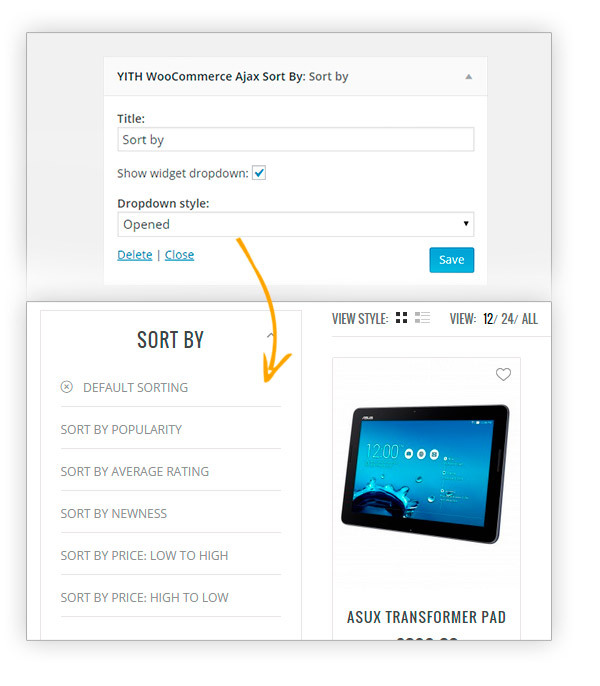 The most requested filter for e-commerce sites is now available thanks to YITH WooCommerce Ajax List Price Filter: choose the ranges and display them to your customers! 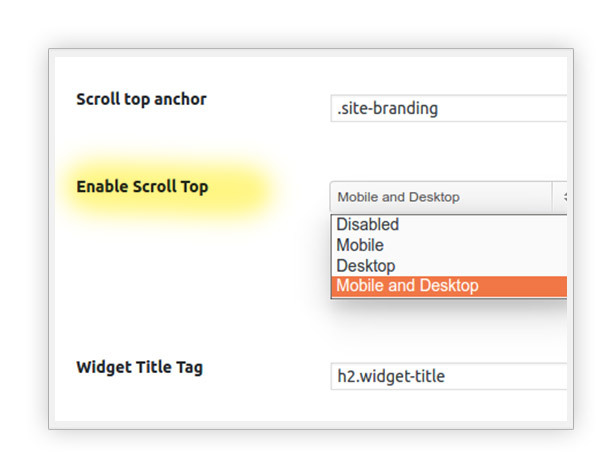 Among the options of the plugin, you can display only available and/or on sale products for a more precise research.  The ajax technology allows a rapid and immediate web surfing, without the need to reload the page to see the search results. 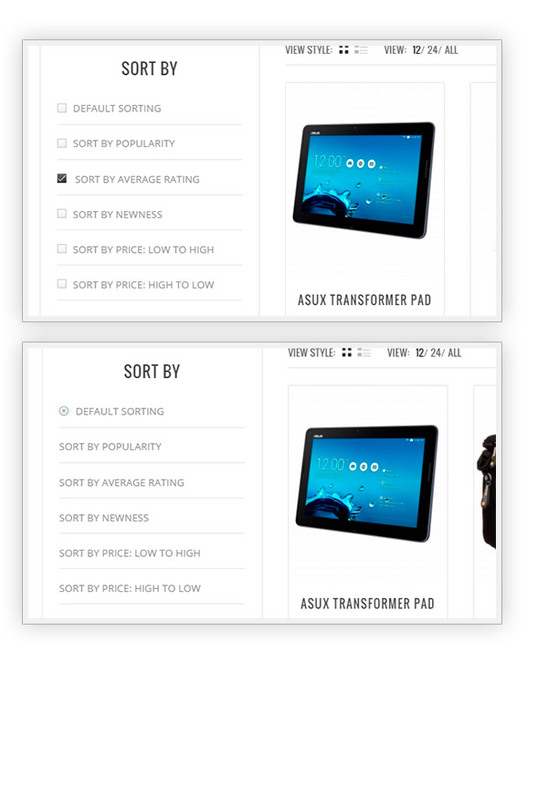 Choose the icon you want and load it with the related feature to make your e-commerce unique! Make them appear on search engines or avoid it, it’s your call! Good support serviceI've had issues with figuring out how to set it for my needs but the developer helped me out and everything works as I need. Nice assistance! worth every centPerfect plugin. I believe joining YITH Club was the best choice I could have done. It's worth every cent! Very happy with my purchase!The perfect solution for me, I use it to show the filter in the sidebar and it really took my webshop to the next level! unfortunately, it is not possible at the moment, unless you custom code this. 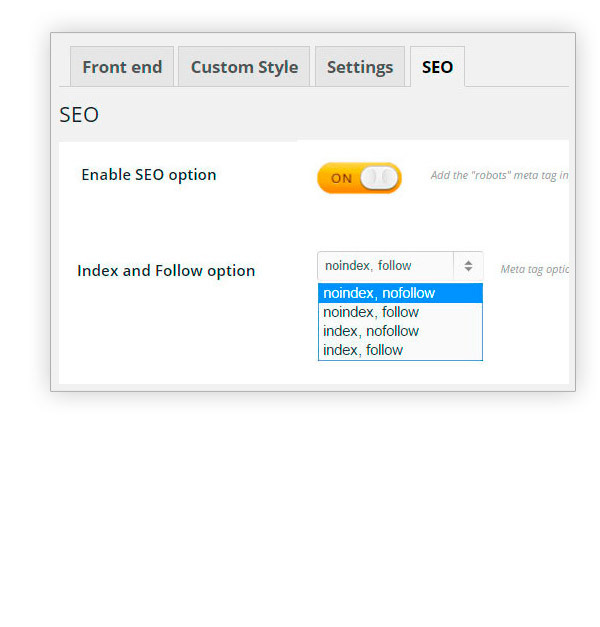 However, the filtered page is simply the shop page but with a filtered set of products, so the best practice is to set this page with noindex-nofollow to prevent that Google considers it duplicated content. Hi, Matt! Unfortunately not, I am sorry. 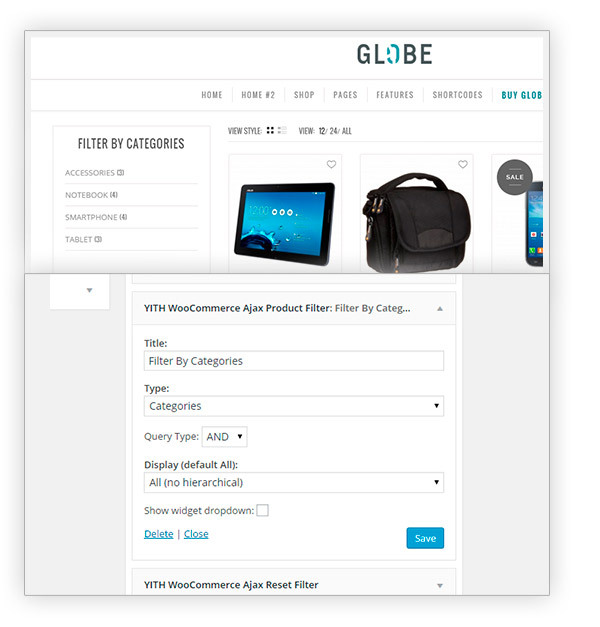 You can use only tags, categories, attributes and YITH Brands.